Albany Allemande- Blue Springs, Basket Balls, and Bubbles, Oh My! The overcast skies we awoke to were a welcomed respite from the hot sunny skies of the last couple days. 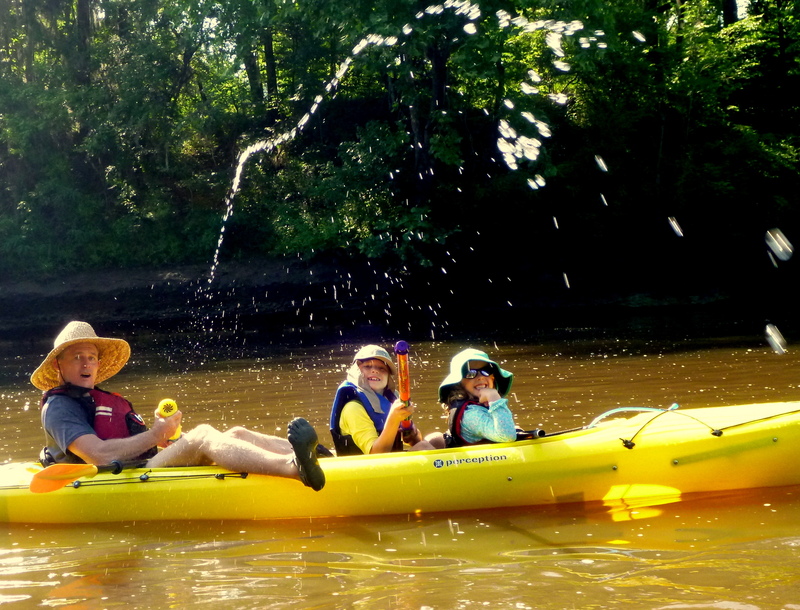 But once we hit the water, the sun gave the perfect warmth for swimming, splashing, and playing in the river. 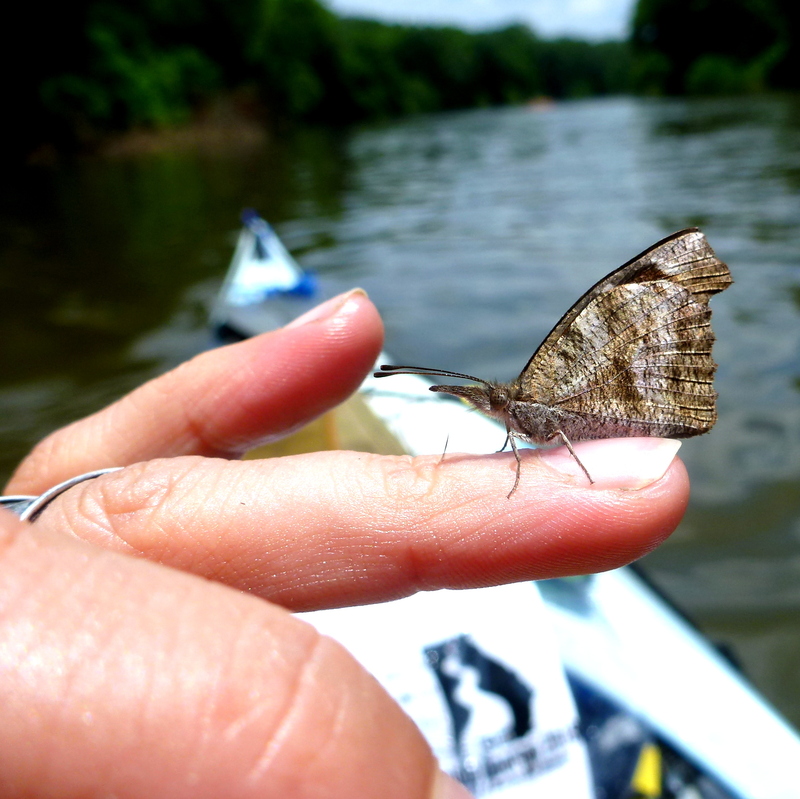 Although it was the shortest paddle trip of the week, at a little less than 14 miles, today was both Trash day and Professionals day and there was no shortage of intriguing conversations and interesting trash items cleaned from the river. 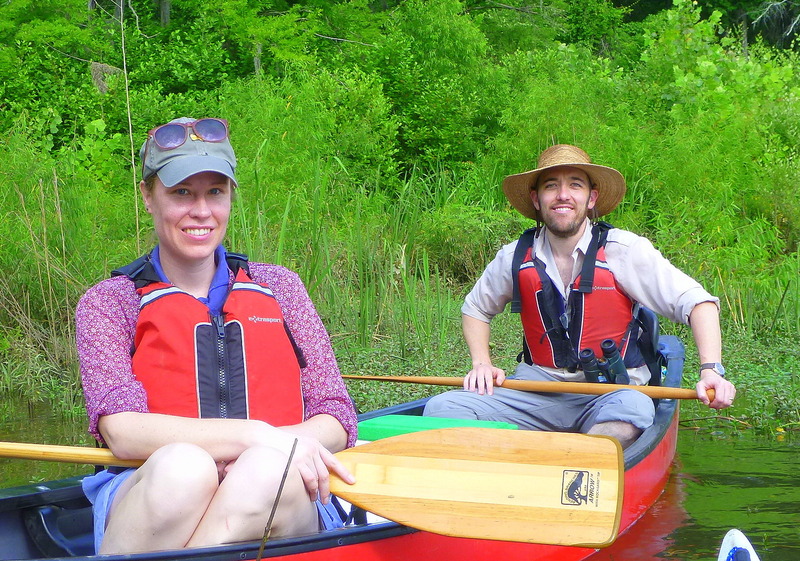 Professionals ranged from legislators and riverkeepers to representatives from watershed coalitions and community foundations. 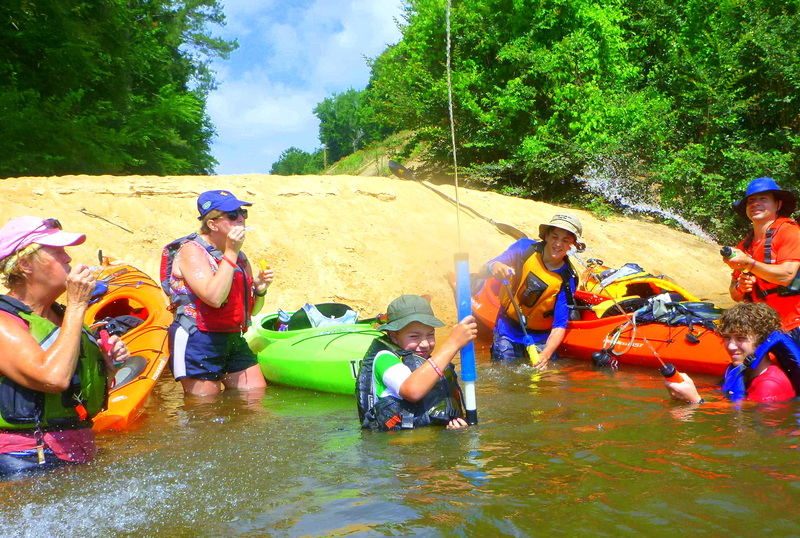 This was most professionals’ first time on the Flint river and for some their first time paddling on a river in Georgia. 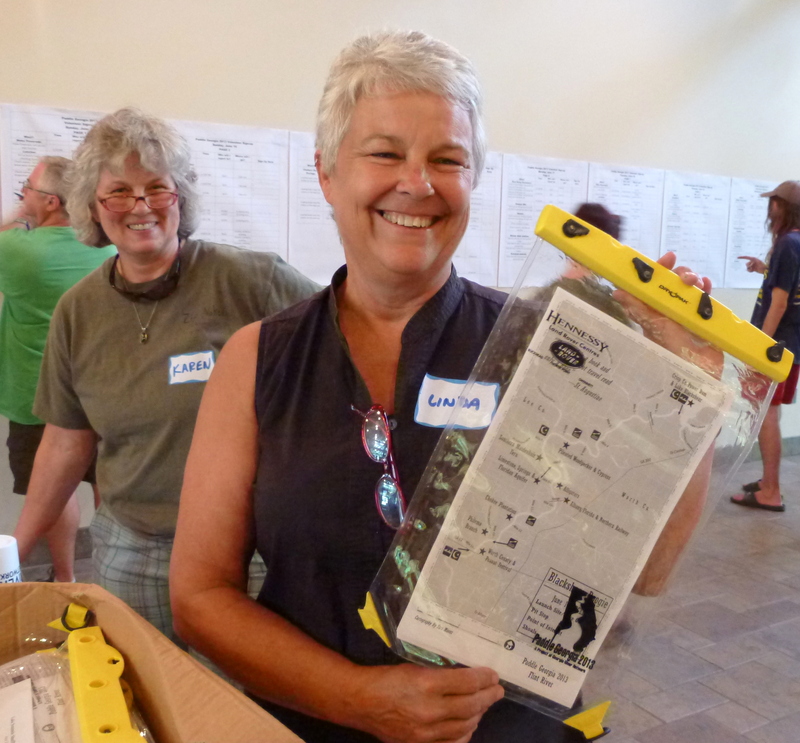 Rivers Alive ‘Trash Queen’ Bonny Putne y led the clean-up and reported approximately 100 lbs. of trash collected and 10 tires. 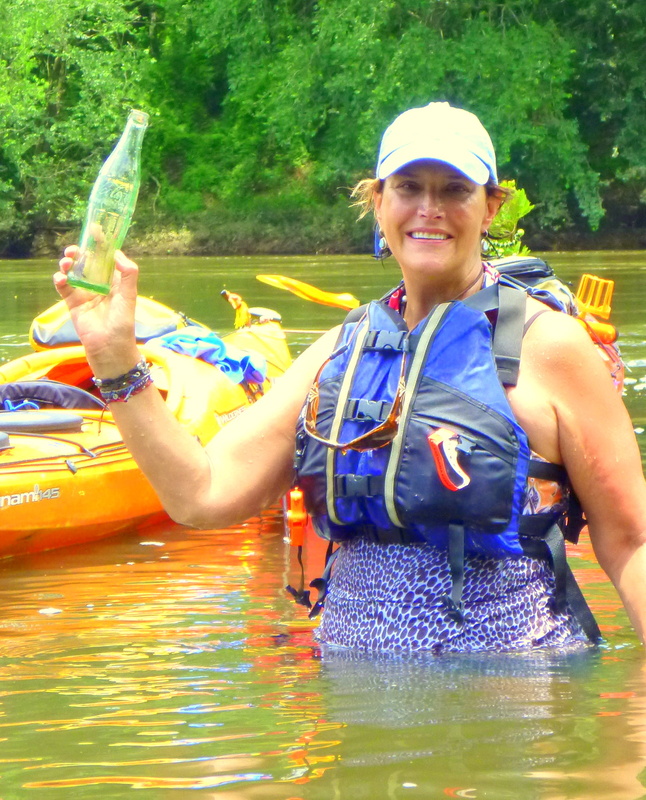 In addition to the usual plastic bags, paddlers found some quite interesting items including a vintage coke bottle, basket balls, a dress, a pair of leather pants, and a can of chicken livers. 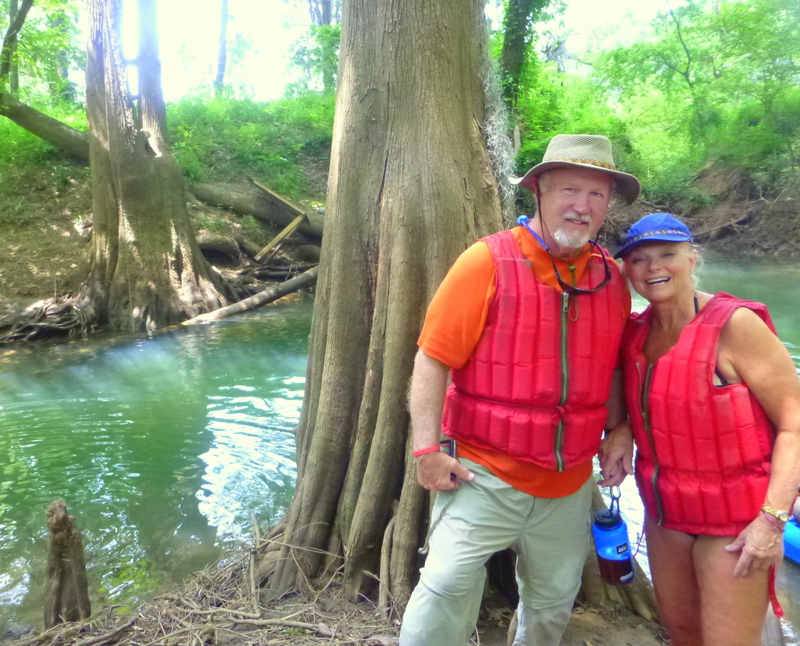 Touted as one of Georgia’s Seven natural wonders, Radium Springs was quite the thrill. 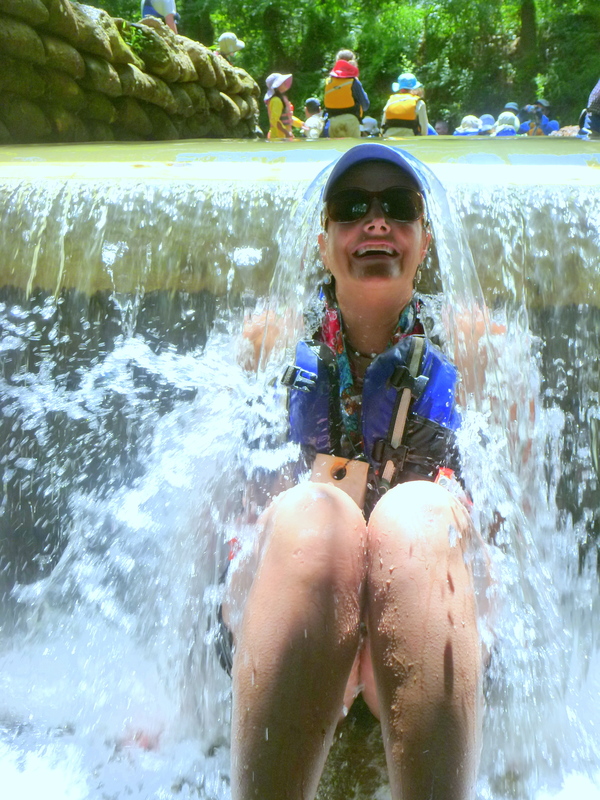 Adults and kids alike, enjoyed the striking arched stone bridge and waterfall and large pool beneath it. 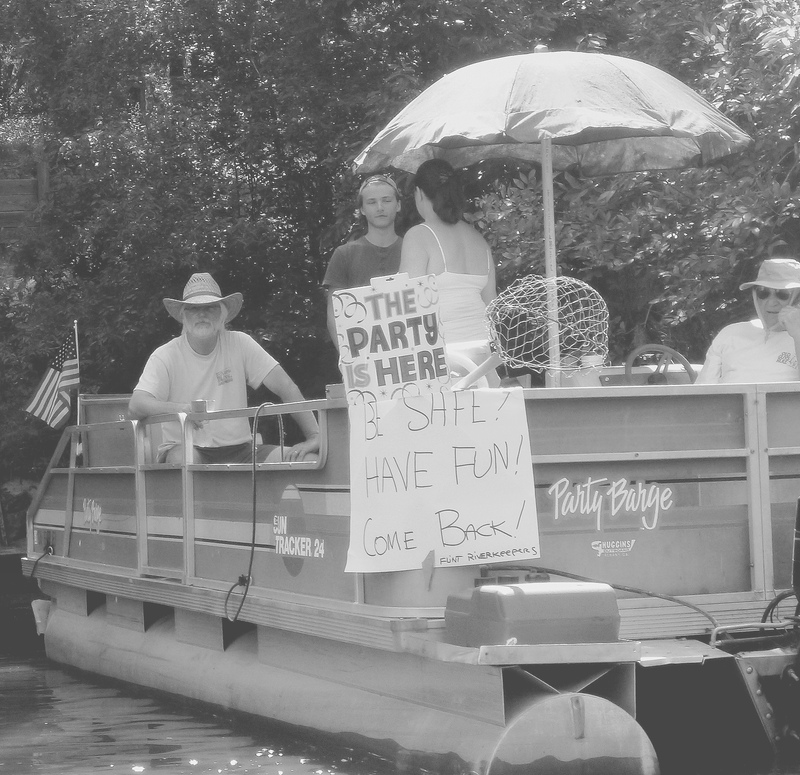 No matter what activity evokes the idea of fun to you- it was found at every river bend, shoal, and sand bar, from squirt gun fights and rambunctious circus-like stunts (including flipping GRN Development Director, Davin Welter), to bubble blowing and lazy lounging picnics – it was all smiles all around. 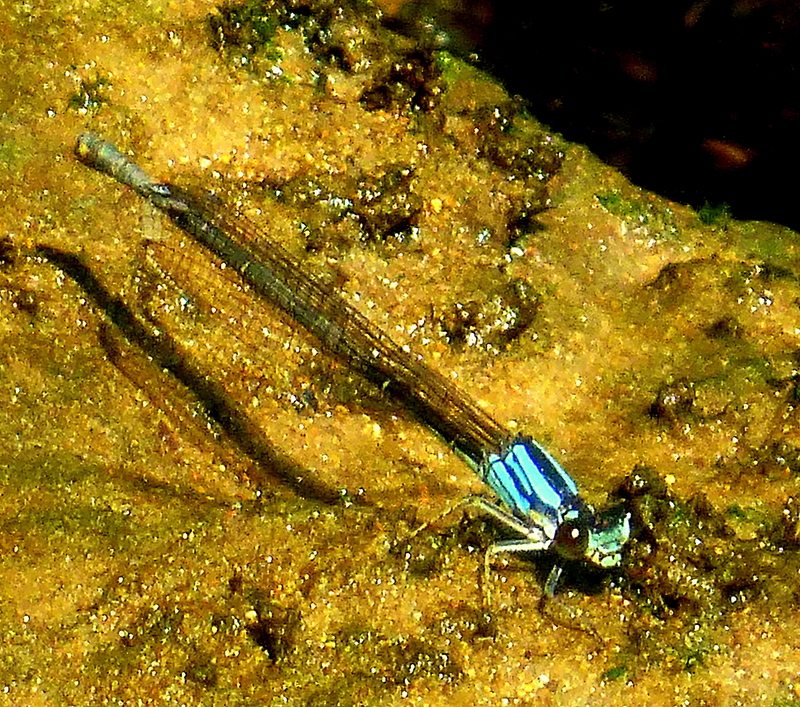 The Blue Springs were truly magical with the cool 68 degree crystal blue water gurgling from the limestone depths below. It seems to just keep getting better with each passing day ~ So glad to share it with everyone! 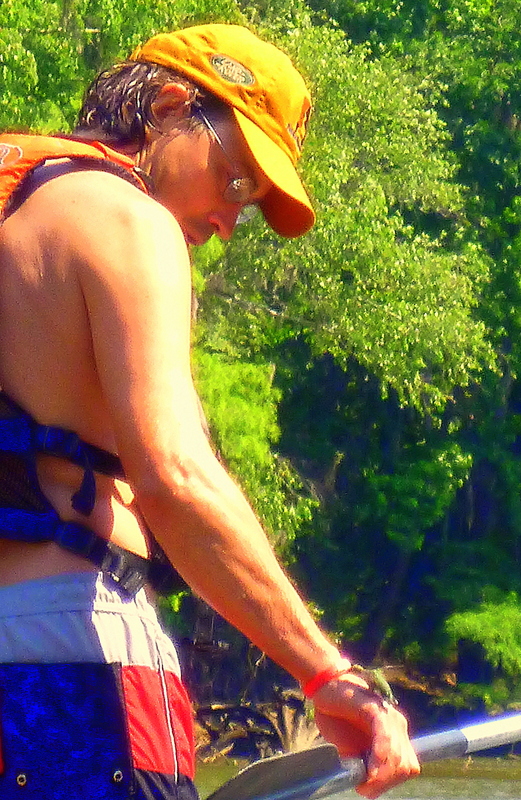 Hot and sunny with temps in the low 90’s, the weather for Day 2 of Paddle Georgi a was gorgeous! 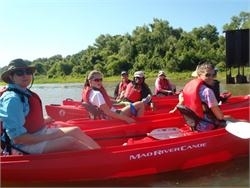 Psyched for the awesome 15 mile paddle ahead we loaded up and hit the river! 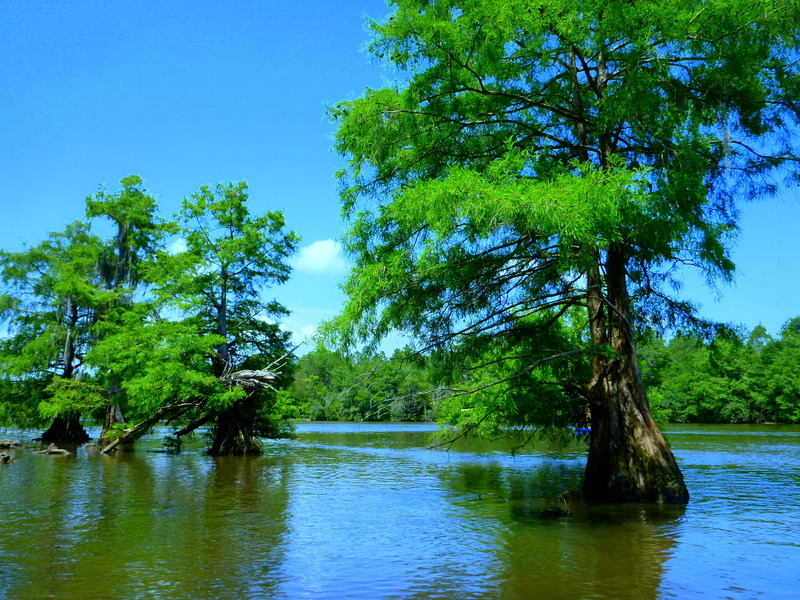 The scenery was green and pristine, cypress cones and moth cocoons dangled from overhanging limbs kissing the river surface and meadows of aquatic yellow blooms and lily pads graced the landscape. 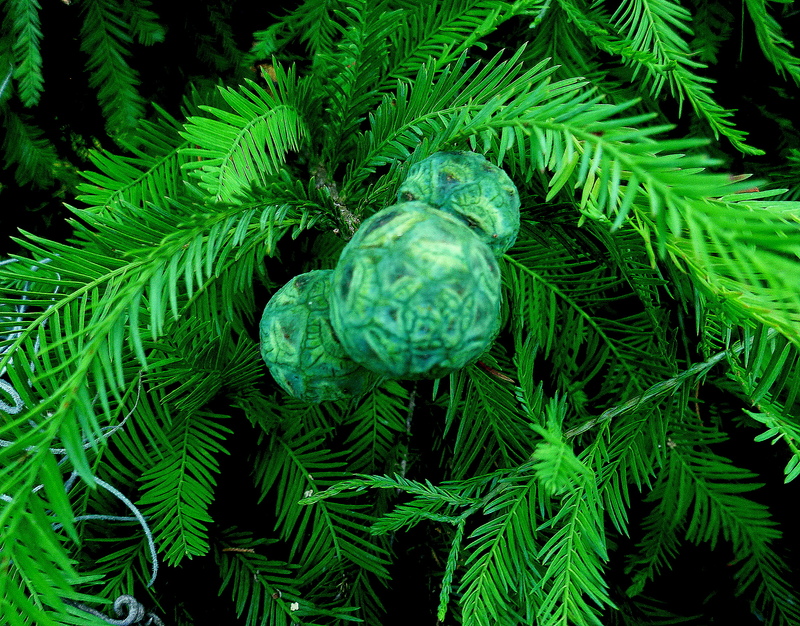 Remnants of fence posts and tree stumps from pre-dam days lined the banks with new growth resembling beautiful floral arrangements or frizzy Chia Pets. 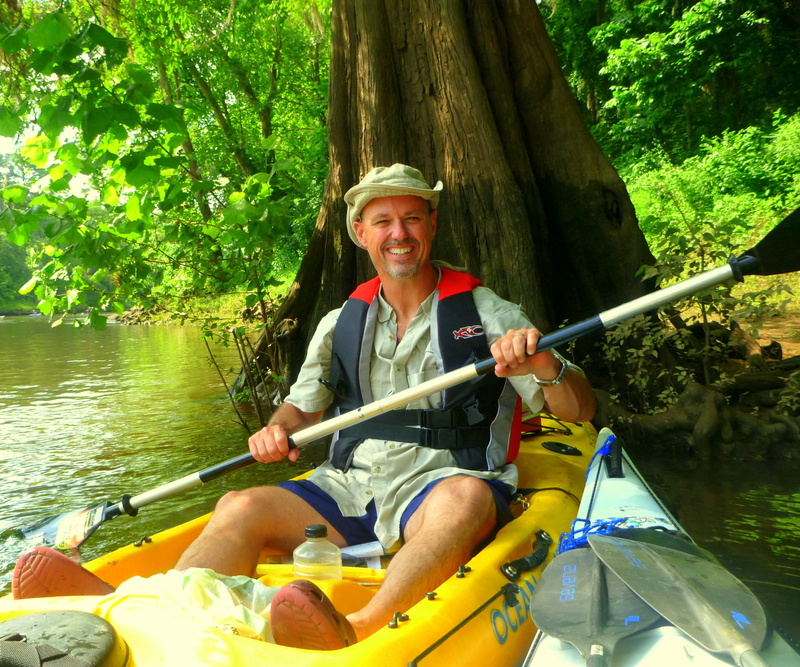 Flint Riverkeeper, Gordon Rogers welcomed the Paddle Georgia paddlers on his Party Pontoon Boat wishing everyone a safe trip. 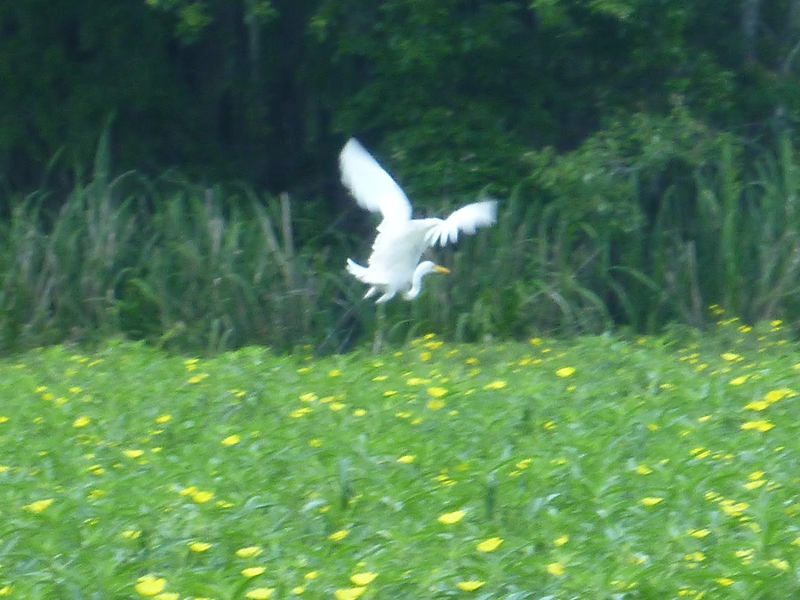 Dragonflies buzzed and dipped catching rides on our paddles and majestic Egrets and Great Blue Herons took flight overhead. T he Camp Horizon kids continued to enjoy themselves swimming, singing and practicing for the Talent Show, and stuck it out as the countless motor boats zoomed past on the last 3 miles of tough lake paddling. Great job y’all! 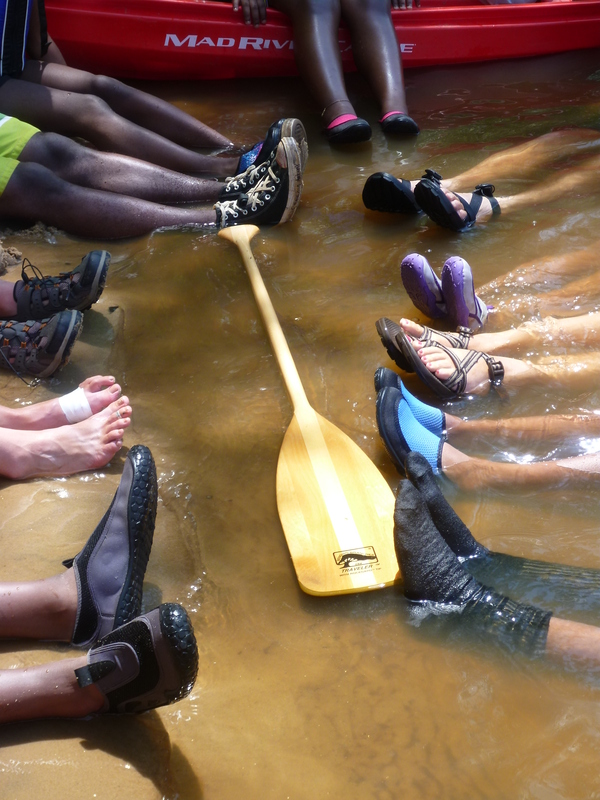 It was yet another amazing day on the magical Flint river and we can’t wait for the journey tomorrow. 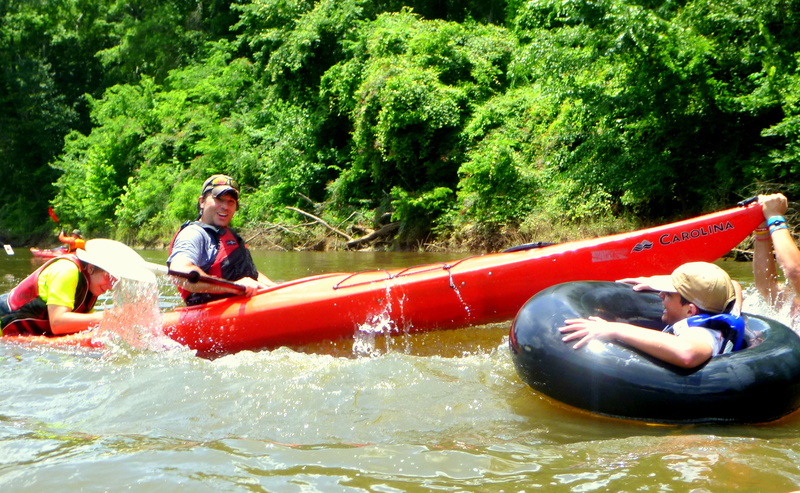 Keep on rollin’ down the river. 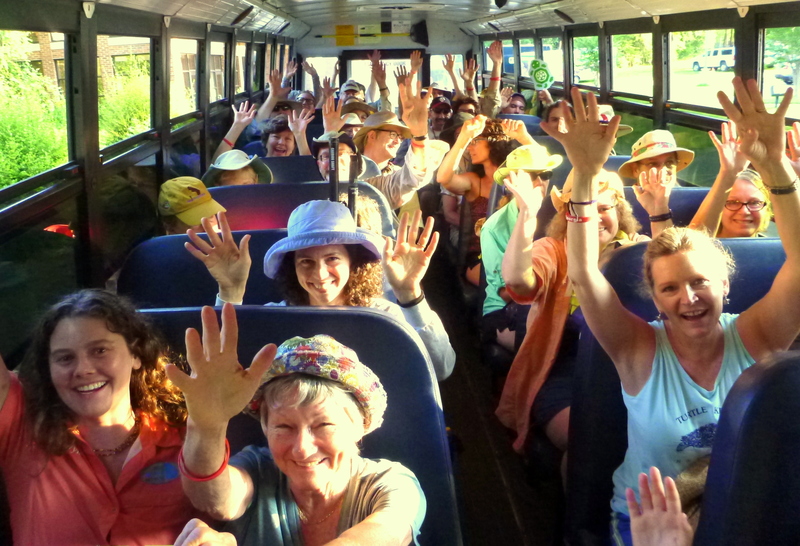 Everyone woke up bright and early – ready for their first day on the Flint. 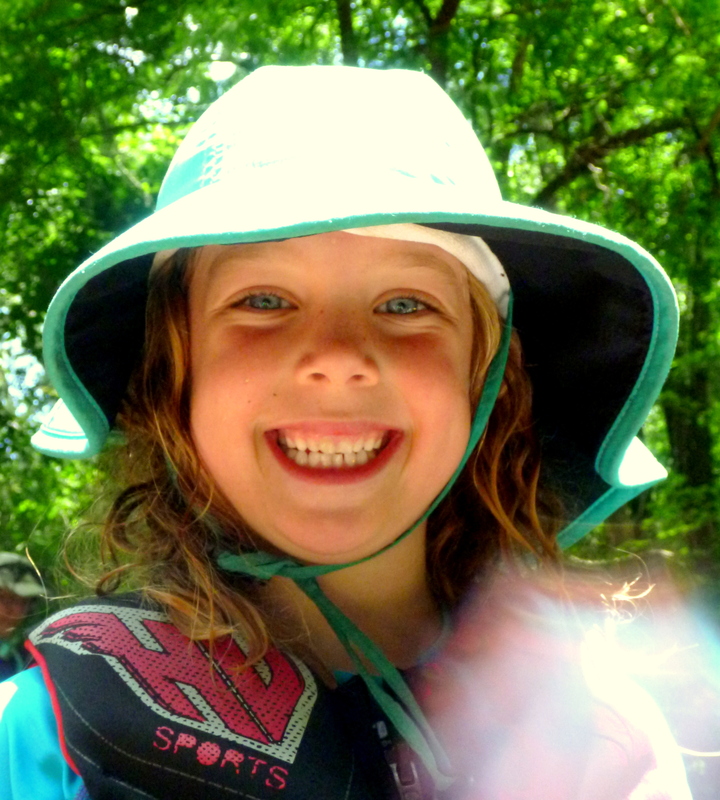 With 14 miles of limestone loveliness ahead, paddlers could barely contain themselves as the school buses rolled into Chehaw park. 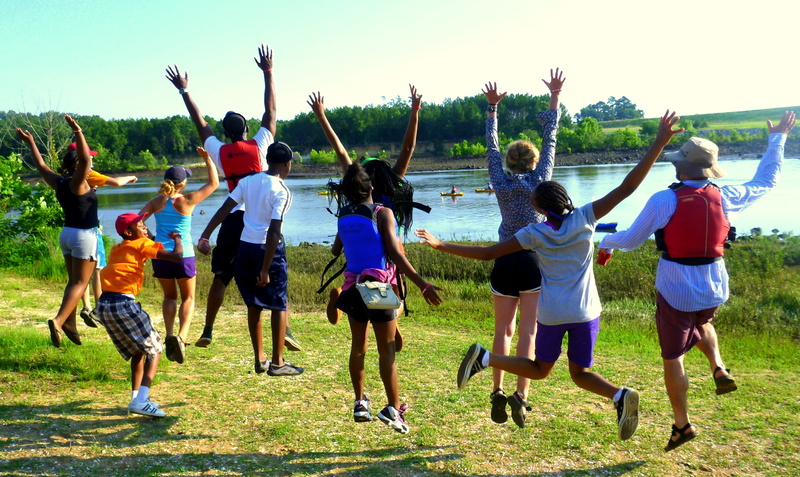 The Camp Horizon youth group jumped for joy as they watched the stunning river roll by them before setting out. 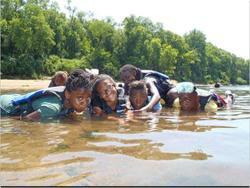 Most of the kids have never paddled before and the enthusiasm for the adventure ahead radiated through their smiles. Bald Cypress, Sycamore, Spruce Pine, Water Tupelo, Water Elm, Darlington Oak, and River Birch were just a few of the trees we encountered twisting and jutting their knees out of the limestone banks of the river. 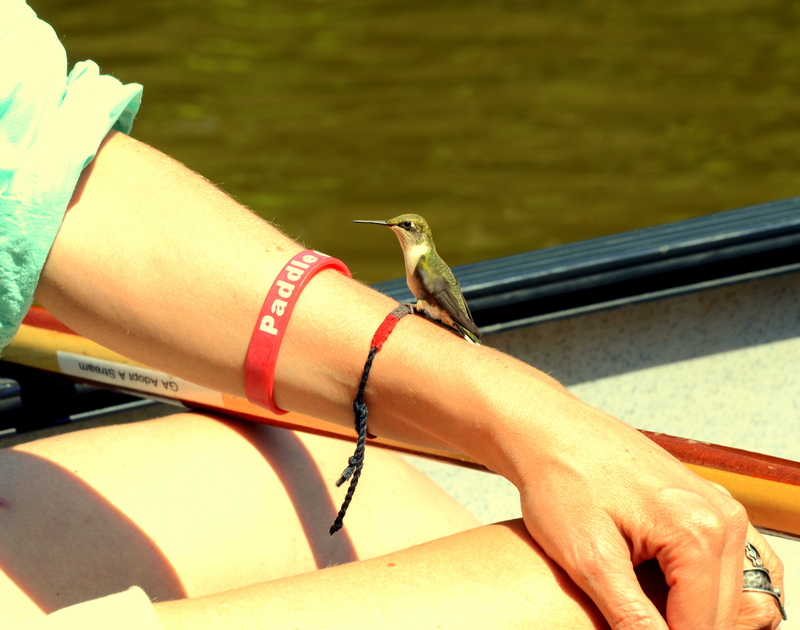 To our disbelief a juvenile Ruby Throated Hummingbird gave a group of paddlers an intimate visit- landing first on Joe Cook’s hand and then visiting mine and continued to bob between the group of boats attempting to drink the non-existent nectar from anything red in color. 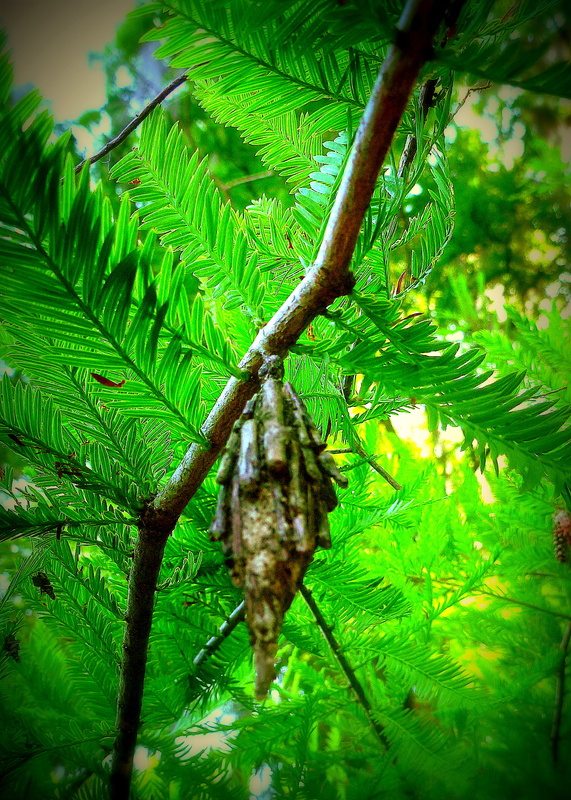 It was one of the most awe-inspiring experiences I’ve ever had. 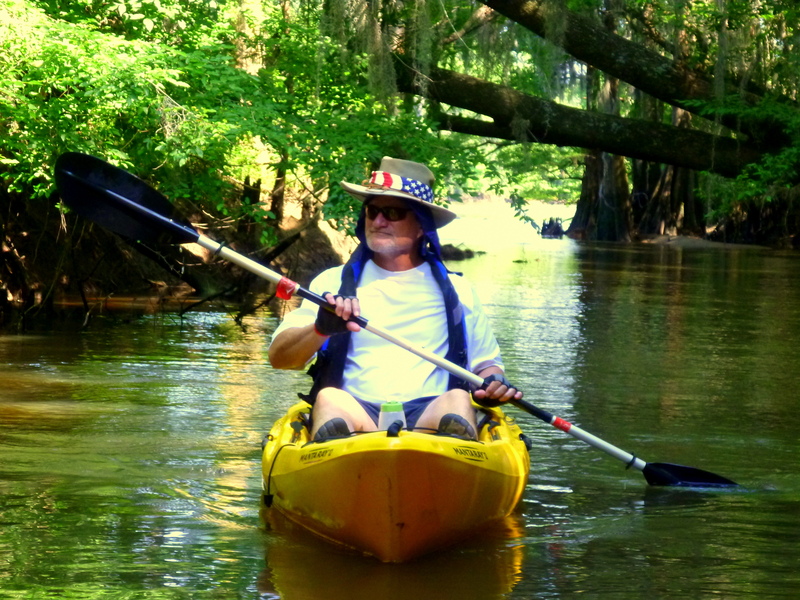 The evening was filled with fun and surprises including the Chehaw Park Wildlife program with beautiful live animals and the much anticipated announcement of the Canoe-A-thon winners. 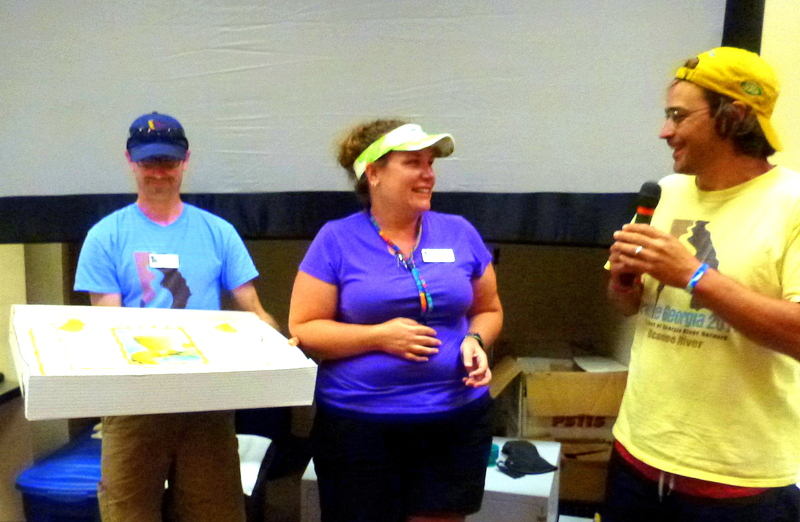 61 people raised a whopping $40,000 with Terry Pate taking the lead by raising $3,260, followed by John Branch, and Alicia Evans. Y’all ROCK!!!! 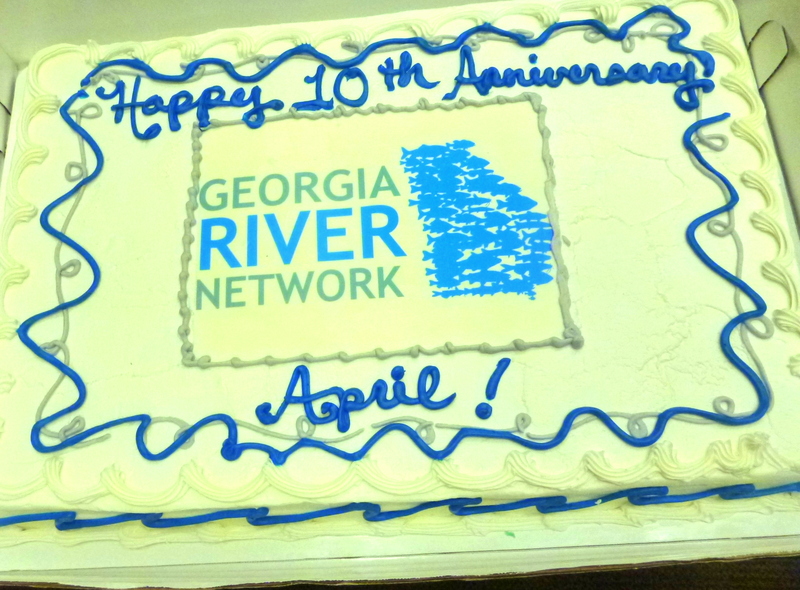 This year is also VERY special because it is Georgia River Network, Executive Director and Paddle Georgia, co-founder April Ingle’s 10 year anniversary! 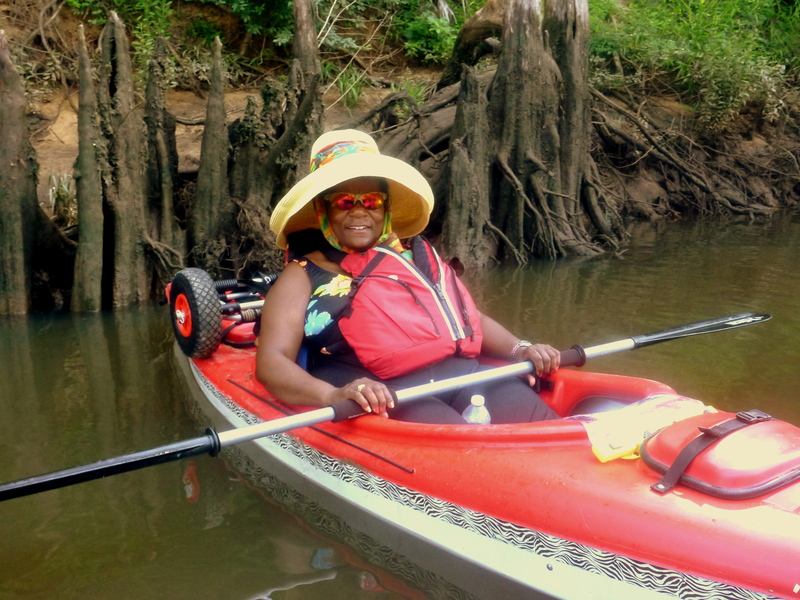 Paddle Georgia 2013~ Smooth Beginning to Flint River Adventure! 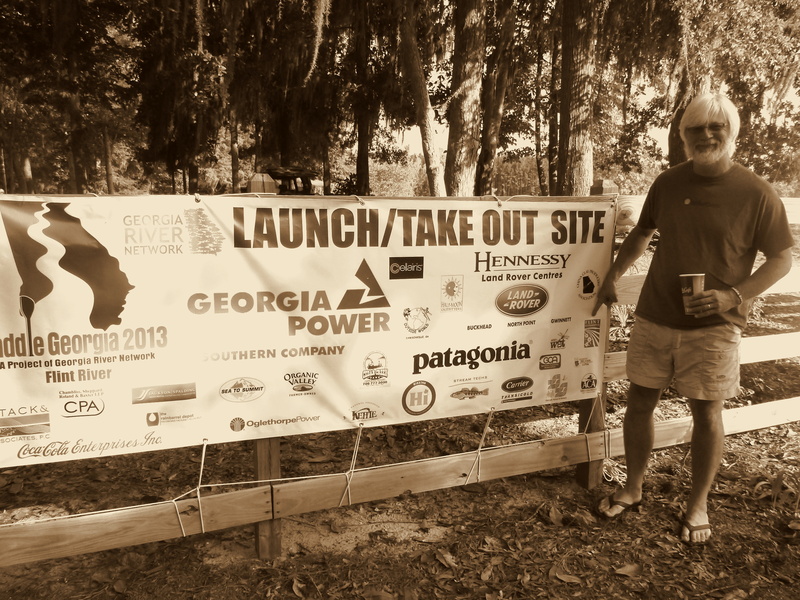 The waiting, the anticipating, the excitement in the air, and the dream of going on Paddle Georgia 2013 for the many new attendees, has finally come to fruition, as 380 paddlers rolled into Chehaw Park in Albany and were welcomed with open arms. 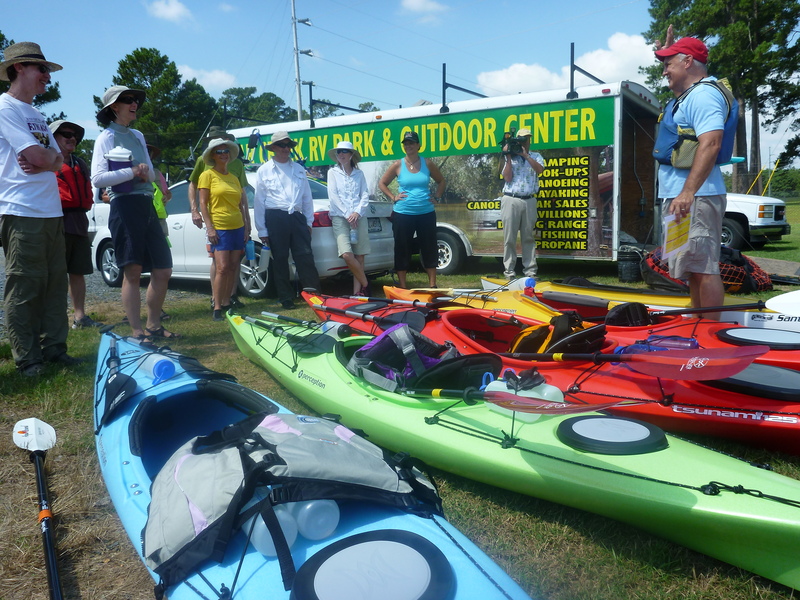 Vincent Payne and Tonya Bechtler gave an excellent and thorough overview of skills and techniques for the paddling workshop at the Crisp County Power Company Boat launch. 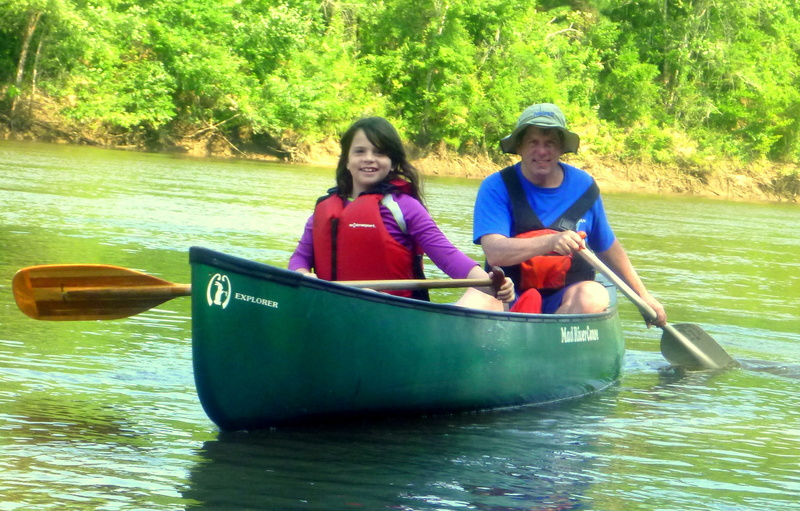 As we slide into summer, the week ahead has gorgeous weather forecasted and the Flint river is flowing fast with all the rain we’ve had. 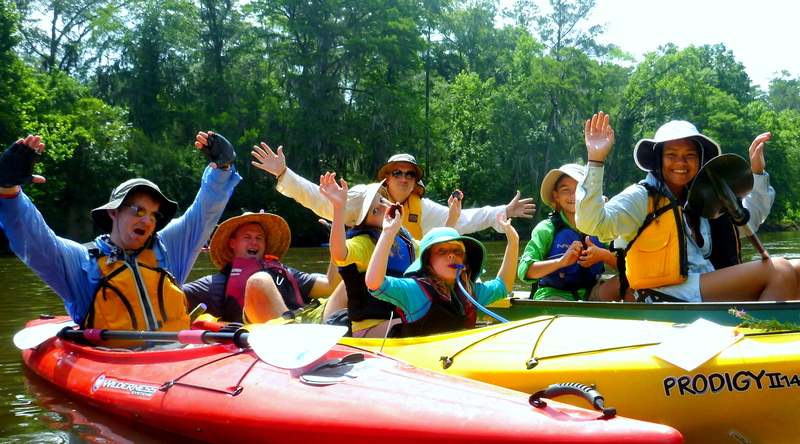 Everyone is excited about a fabulous week of paddling. 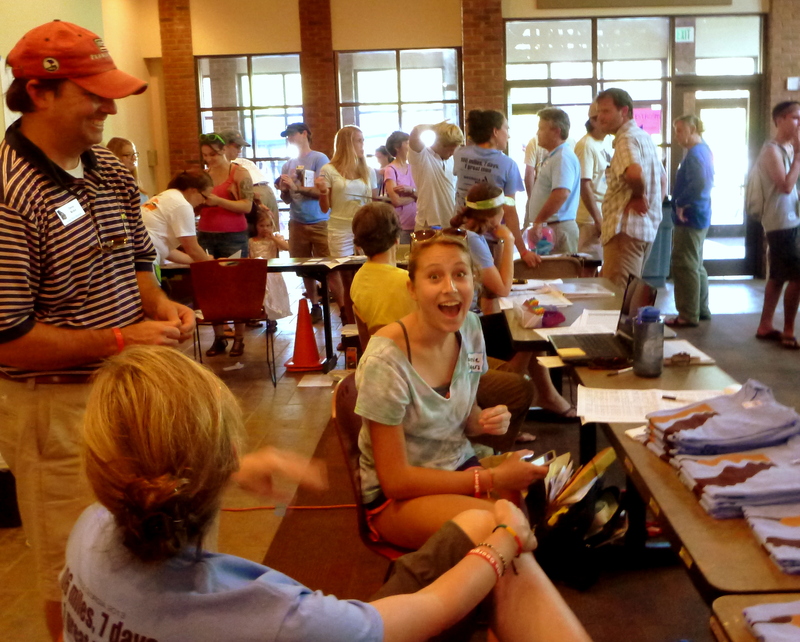 Registration flowed smoothly even with all the crazy questions from paddlers… Ha ha! We can’t thank our volunteers enough for their awesome support and assistance, so make sure to give them a HIGH FIVE next time you see them! 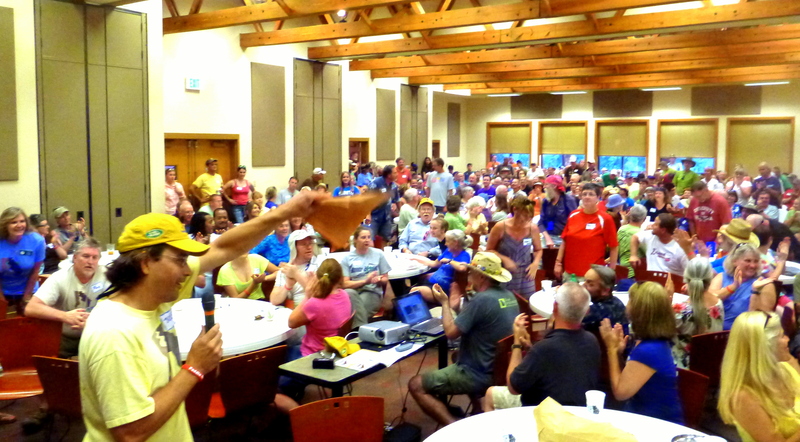 Everyone got their Paddle Georgia goodies, ranging from the new Paddle Georgia 2013 T-shirt and hats to maps and dry boxes. 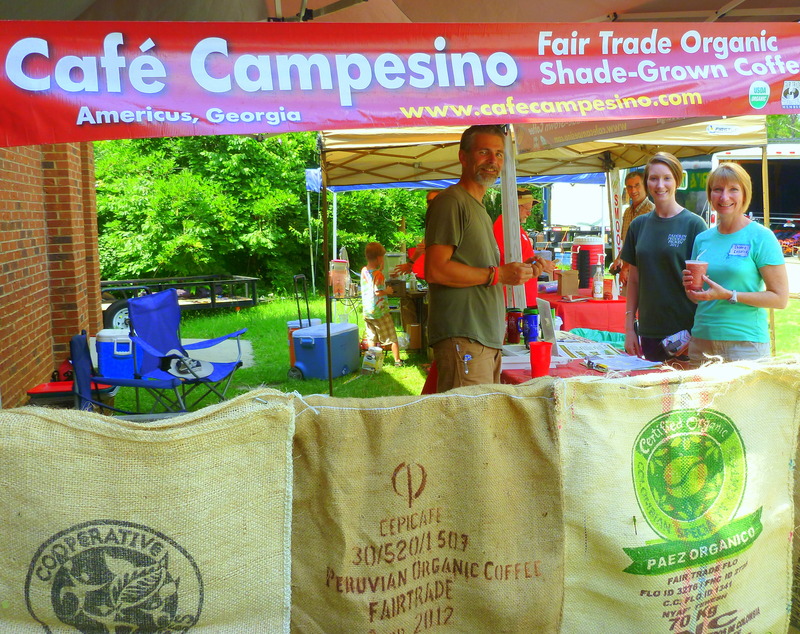 Paddlers are super happy to have fair trade coffee and fresh fruit smoothies provided by Cafe Campesino…. oh so delicious and refreshing! 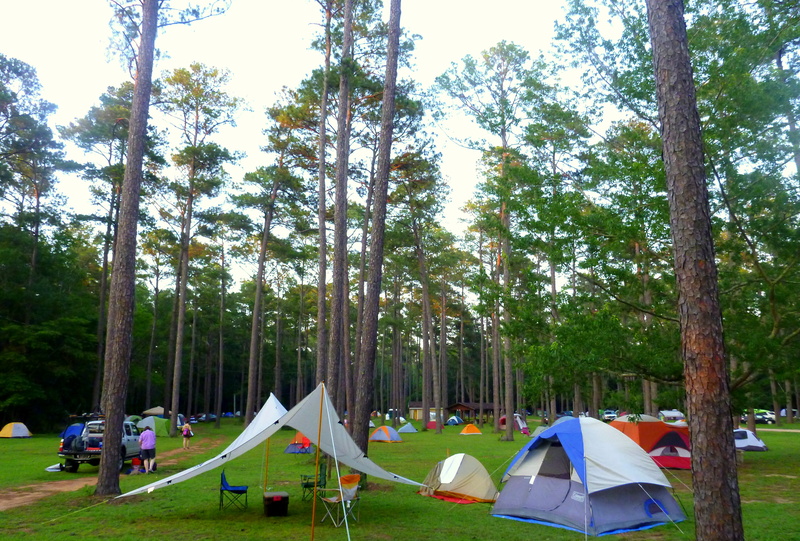 It’s always a delight to see ‘Tent City’ Paddle Georgia style with the colorful collage of domes that pepper the landscape. 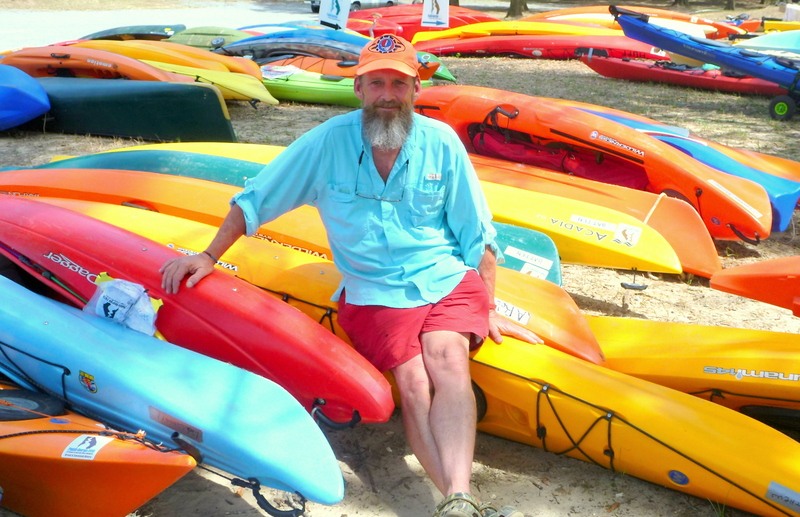 No need for an assigned campsite – we’re all buddies at Paddle Georgia. Joe Cook lit up the crowd and got everyone on their toes for the week long journey ahead! 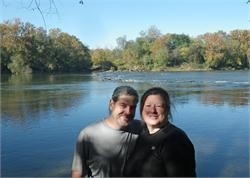 So excited about our first day on the Flint tomorrow! 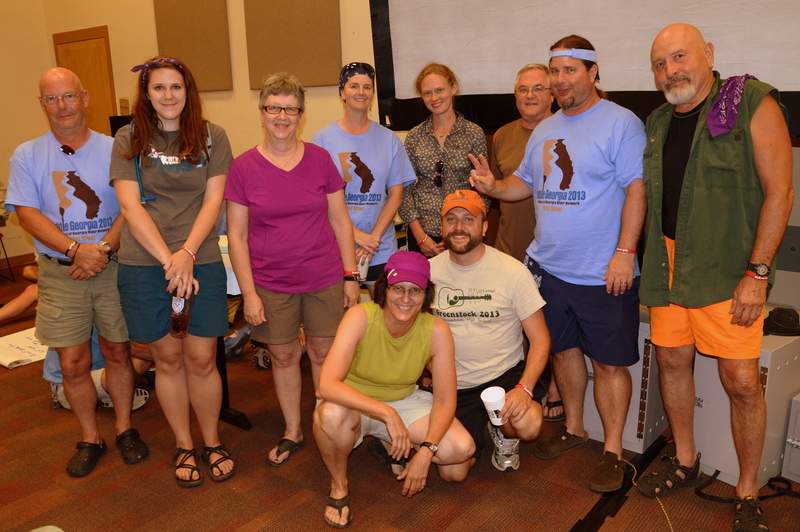 27 Canoe-A-Thoners have raised over $5,000 thus far! See the TOP 6…and beat ’em! 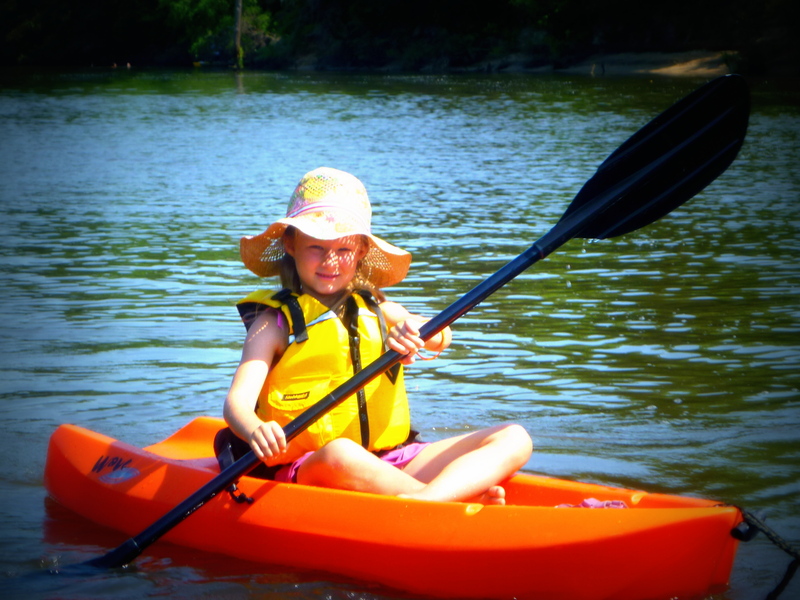 As of today, we have 27 folks signed up for the Canoe-A-Thon and you have raised over$5,000! Yay! 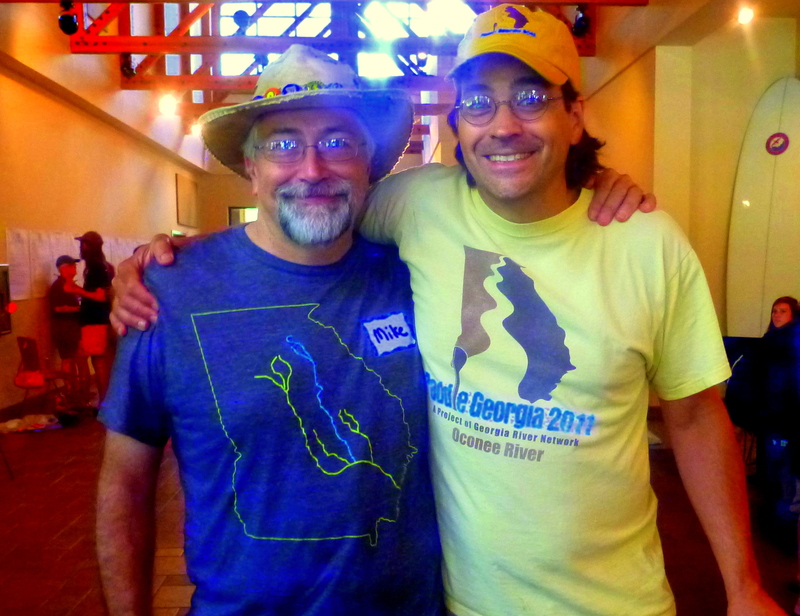 Remember that those who raise at least $200 will be eligible to register for Paddle Georgia 2014 during a special PRIORITY REGISTRATION period before regular open registration begins in Feb. 2014 for Paddle Georgia 2014. Keep it up y’all! THANK YOU!